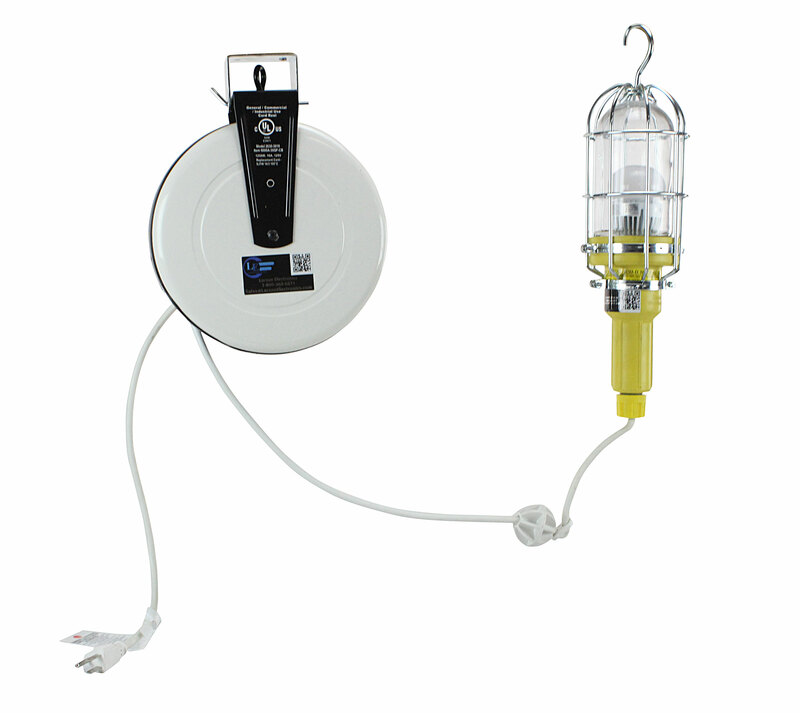 Larson Electronics, a leader in the industrial and commercial lighting industry, continues its commitment to providing high grade lighting equipment to specialty markets with the release of a 10 watt LED drop light equipped with 30’ of cord on a retractable reel. The VPLHL-7WLED-PC-GR30 LED trouble light from Larson Electronics is waterproof and vapor proof and is constructed to prevent the intrusion of water and moisture into the handle and head when used in wet locations. The 10 watt LED bulb included with the drop light produces 1,050 lumens of light with an operating temperature of only 55°. The solid state LED lamp has no filament, making it resistant to damage from impacts and dropping. 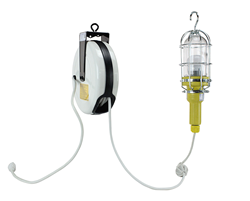 The drop light features a rubberized, insulated handle to provide a safe and secure grip and a stainless steel wire guard enclosure to protect the polycarbonate lens. These LED drop lights have improved qualities compared to the incandescent models with higher foot candle light output, cooler operation and better light quality. 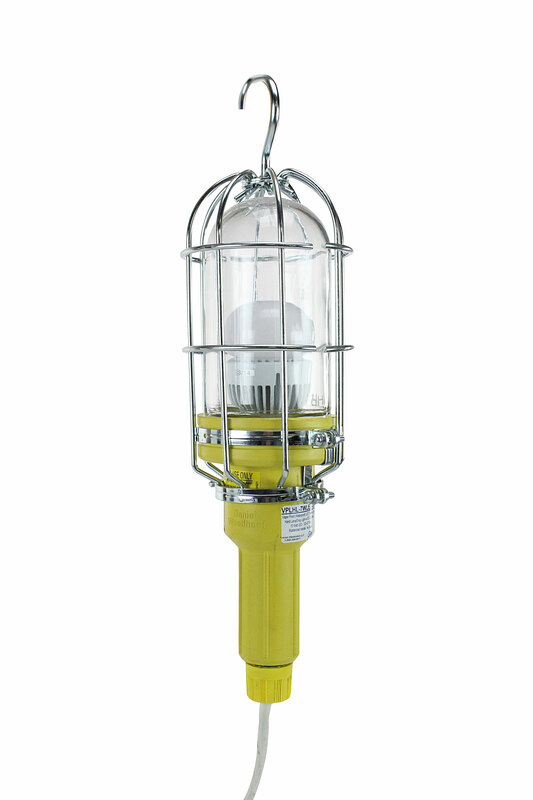 The cool operation, good light color and evenness of coverage makes these lights ideal for a wide variety of close quarter work and inspection activities. The cord reel is designed for a lift/drag of up to 30 feet of 16/3 AWG SOOW round cable. An additional two feet of cable provides adequate length for safety wrap and power connection. A slip ring enclosure is built to NEMA standard, is 600 volt rated and has three conductors. 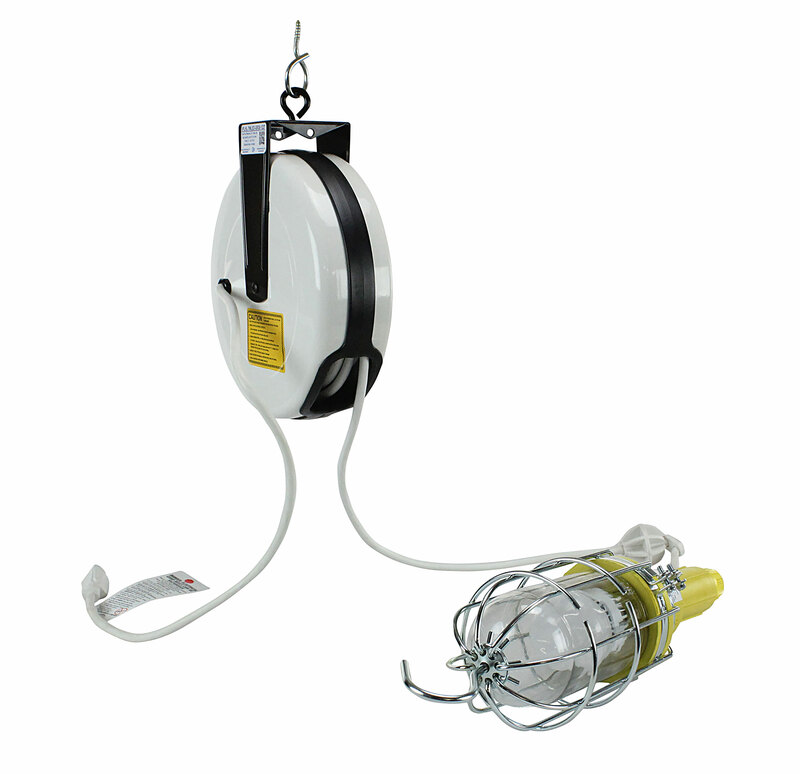 The reel is UL listed and is constructed of durable steel with a white powder coat finish. The reel includes a ball stop and a ratchet with a lockout feature. The LED hand lamp is capable of illuminating an area approximately eight feet wide in all directions, is certified waterproof and vapor proof and suitable for use in wet areas.